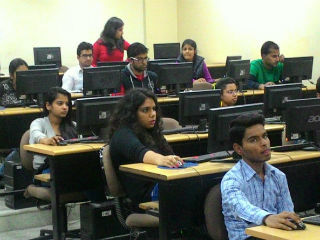 To introduce our students to new technologies and motivate them to follow innovative sources of knowledge, JIMS conducts audio-visual workshops in association with Spoken Tutorial Project Team of IIT-Bombay under aegis of National mission of Education with ICT sponsored by Ministry of Human Resource and Development. Our MCA batches actively participate in said workshops. 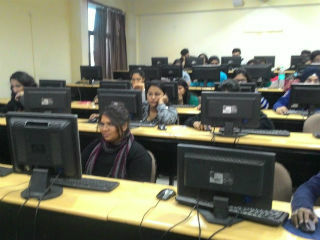 To assess the performance of students, STP team from IIT-B conducted online-test for Linux on Wednesday, 10/02/2016. We are pleased to announce that our MCA 1st year students cleared the online test with good score and were awarded training completion certificates by STP team of IIT-B. We congratulate MCA batch 2015-18 on their success.